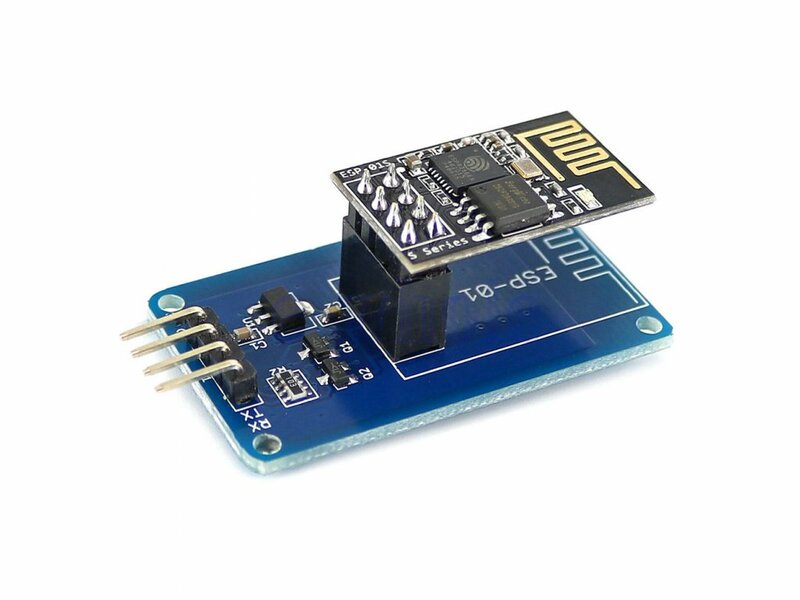 I am pretty new to Arduino programming and wanted to learn how to connect an ESP8266 generic WiFi module to an Arduino Uno using the ESP-01 Adapter shown in the image below. To the best of my knowledge there is no tutorial on the internet that explains about the above mentioned adapter and its interfacing with the wifi module in detail. It would be a great help if someone could please guide me through the process so as to convert my Arduino into a server. 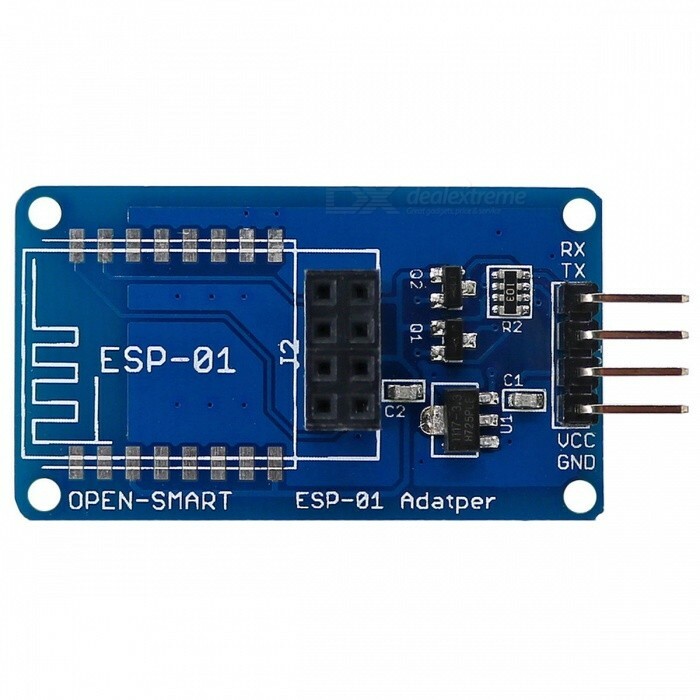 I have this type of adapter with esp8266 glued. I can't recommend this type of adapter boards. 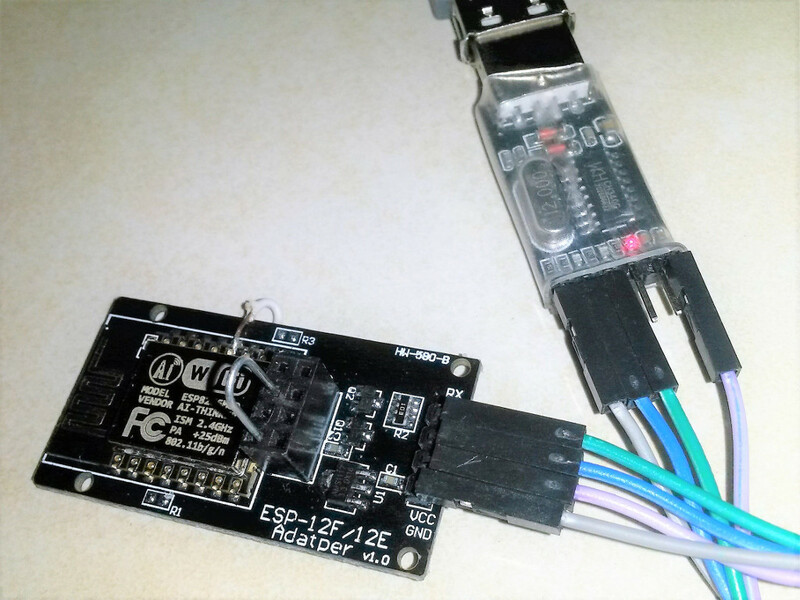 Easier is to use a development board like Wemos or NodeMCU with on-board USB adapter. And they are cheap. The adapter has the esp-01 2x6 header J2 but the io 0 and io 2 pins were not connected on my version. I patched io 0 to JP2 header to be able to flash the module. On the picture you see a paperclip jumper connecting GPIO0 to ground. At least one issue is the serial connections. Rx and Tx need to be cross-connected with whichever Arduino pins you are connecting to the ESP. Using the Arduino's built-in UART, Arduino pin #s 0 and 1, cannot work for uploading (to either board) since those pins are used to communicate with your PC. If you are trying to upload to the Arduino, try removing the ESP adapter board during the upload. Even with that, communicating at run-time from the Arduino to the ESP (with it plugged back in, of course) may run into interference from the Arduino's 16U2 chip (serial <-> USB processor) which is hard-wired to those pins. And if it does work at run-time, you will have to forego serial communication to/from your PC, which uses those same pins. The alternative is to use the SoftwareSerial library in your code, which will let you select two other Arduino pins as a second "software UART" to communicate to/from the ESP. This route come with it's own initial-setup complexities - you'll first have to change your ESP's default baud rate to 9600, about the maximum that SoftwareSerial can reliably receive. See my post about how to do this. To implement it, you'll need a short sketch that continuously tests Arduino's terminal for an available character and sends any to the ESP, and likewise tests the SoftwareSerial and sends to the Arduino's terminal. Not the answer you're looking for? Browse other questions tagged arduino-uno esp8266 wifi or ask your own question.